Many critters can’t stand being around hot pepper. We can use this to our advantage in the garden. When people think about “living off the land” or “growing all their own food,” they usually think about growing plants like grains or potatoes. Maybe they imagine keeping some cattle, or perhaps planting a rolling pecan plantation. I’m sure cayenne peppers rarely make anyone’s list. Even the beloved jalapeno is lucky to make the survival gardener’s notebook. There’s a simple reason for this, of course. It’s because you can’t munch on hot peppers. If you were to harvest a basket of them, you could technically count them as food… but if you were to eat them like carrots, it would hurt, hurt, hurt. Believe it or not, hot peppers are really good for you – and cayenne are one of the best. 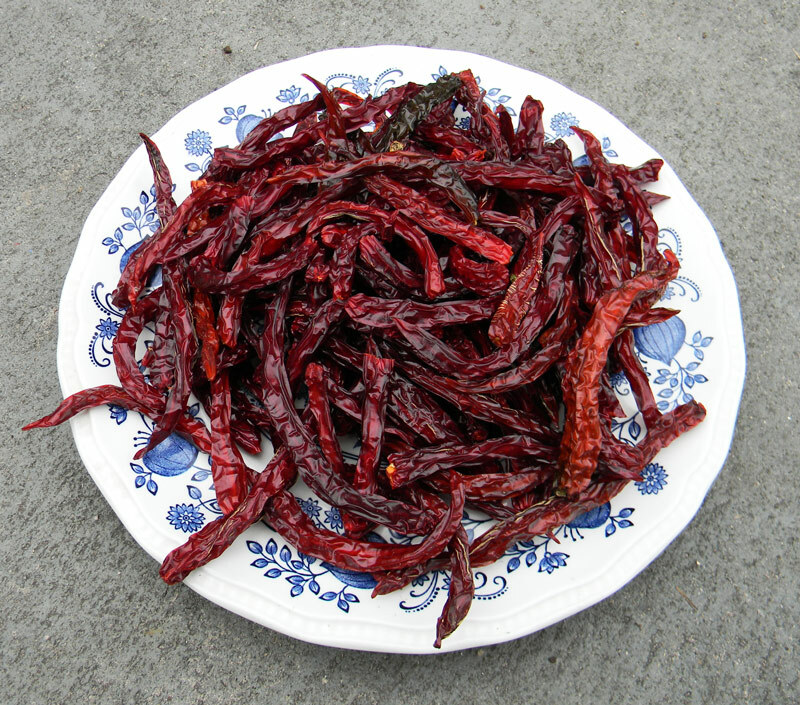 Cayenne peppers have also exhibited anti-fungal properties. They will help digestion, treat ulcers, increase your circulation and can cure a headache. You can also put dry red pepper powder right on a wound and stop the bleeding. Apparently, this doesn’t hurt. I almost want to cut myself just to see how it works. Maybe next time I’m involved in a Klingon ritual I’ll sneak in some cayenne pepper. Eating spicy food can also break up mucus and help your body heal faster when you have a cold or the fly. Pretty good for a skinny little pepper. Sure, you can live on boring food… but who wants to? If you grow your own cayenne (and other) peppers, you can add some spice to your meals. It’s very easy to make your own ground red pepper and the flavor is 3 times better than store bought. It’s sweet, spicy and little smoky. And speaking of smoky… smoked cayenne peppers can be used to add amazing flavor to homemade jerky, sausage and other meat recipes. If you’re very clever, you can use your cayenne peppers to make Texas Pete(TM) and Tabasco(TM) style sauces. It’s on my list of things to do before the Apocalypse. Thus far, we’ve simply been drying and grinding all our peppers. You think eating too many hot peppers in a chili is unpleasant? Try being drenched in hot pepper juice. That’s the kind of pain you can put on your insectile enemies. Many critters can’t stand being around hot pepper. We can use this to our advantage in the garden. Take a few cayenne peppers and a couple cups of water and throw them in the blender. Zip it into scary hot pepper juice, then strain into a spray bottle. Add a drop of soap to make it “stick,” and you’ve got a potent anti-insect potion. You can also spray it on your enemies. Or into the eyes of a raging Grizzly. There’s a reason to grow cayenne peppers! For a plant with so many benefits, cayenne is remarkably easy to grow. In tropical regions it’s a short-lived perennial. I’ve kept hot pepper plants alive for years in containers by bringing them inside during freezing weather. Fortunately, even if you live someplace frigid, you’ll usually have enough summer to grow cayenne peppers. Start them from seed indoors 6 or more weeks before your last frost date. Transplant them out to the garden after all danger of frost has passed. If you do get a cold night – protect them! They can’t take cold. They also germinate a lot better when temperatures are in the 80s, so consider starting them on a heat mat or on top of your fridge or water heater. If you have a long enough growing season, just plant them right in the garden. The soil conditions don’t have to be very good. They’ll grow in clay or sand and don’t mind low nutrition, though they’ll grow better if well tended. From seed to peppers takes about two and a half months. Pick when the peppers are fully red for the very best flavor. 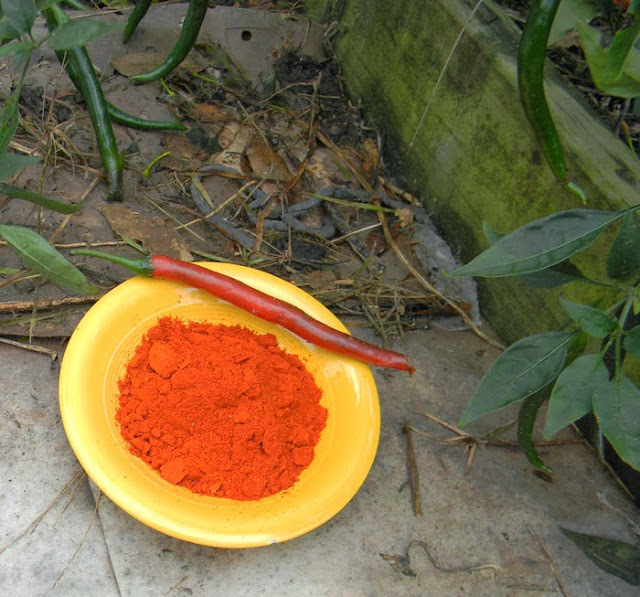 Cayenne pepper plants grow into small, attractive shrubs that bear repeatedly and abundantly. Start growing them now and you’ll be loaded with peppers by fall. You might not be able to “live” on peppers, but they are a great survival plant that just makes life better.